We have a wonderful week of events planned – starting with an introduction to Brighton Photo Fringe who will be taking over Colonnade House for the whole month of October. This is the first year that the festival has spread further than Brighton and we are delighted to be hosting them. Tues 25 18.00-20.00 Photographer Barry Falk will be talking about his work and more specifically his latest exhibition Thresholds of the Mind which is exhibited in Brighton as part of this year’s BPF. 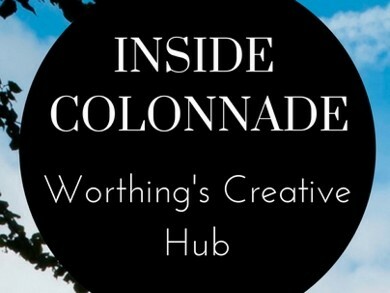 Wed 26 10.00 – 16.00 What goes on inside Worthing’s creative hub? We invite you to step inside to hear from the people who work here and find out how the hub supports people to be creative and businesses to grow. You can drop in at any time during the day – click the link to see the full programme and to book a tour. Wed 26 19.00 – 21.00 (2 sessions) Local artist Maudie Gunzie is running a short, sweet and simple workshop aimed at anyone who might need paper bags in the run up to Christmas, resents paying for something mass made and is all up for recycling. So if you are an arts or crafts person with lots of fairs coming up in the autumn, a shop owner who needs a new stash of bags, or anyone who has an hour free and fancies coming along – this is for YOU! 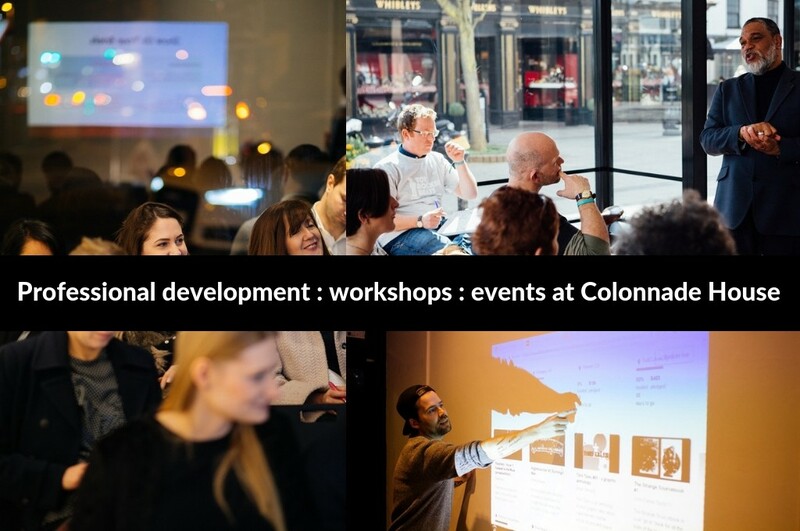 Thurs 27 18.00 – 20.00 This evening about marketing for artists, makers, small publishers and creatives in general is unfortunately SOLD OUT, but please check for tickets in case of returns. Fri 28 16.00 – 18.00 Join artist Nicky Bell for this one off taster event exploring watercolour art in a two hour class with materials and refreshments provided. Booking essential, spaces are limited – £15 per person in advance and £20 per person if booked after 21.09.18 – so you can still grab an early bird ticket if you’re quick! Sat 29 12 noon to 1.15pm and 1.45 to 3pm Mary Fivey is running free painting & drawing workshops for kids aged 6yrs and up as a taster for her new regular classes starting soon at Brunswick & Thorn. Follow the link for booking info.